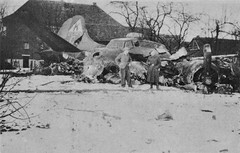 Appeal for Help RAF Methwold 320 sqn. 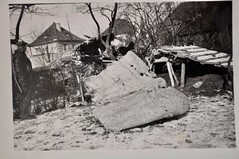 I have been contacted by a reader (Diek Roessingh) looking for information and / or photographs of his Uncle, Albert Roessingh, of 320 (Dutch) Sqn based at RAF Methwold. 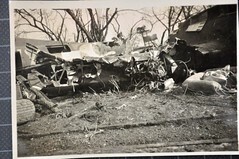 Albert and his crew: Willem Ritte, Evert van’t Eind, William Blok and Cornelius van de Does, were all killed when their aircraft, B-25 Mitchell FR144 crashed into the sea on July 30th 1943. I have sent the Operational Record Books and various links to websites covering the aircraft and other crew members, but nothing has come to hand about Albert. Diek is also looking for details of a second airmen, Albert’s friend, Kees Waardenburg who died on August 30th 1943 (although I believe this may be 1944). Any information about Albert or Kees would be gratefully received and passed onto Diek. Sqn. Ldr. 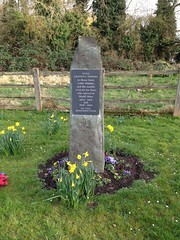 Leonard Trent VC – RAF Methwold. 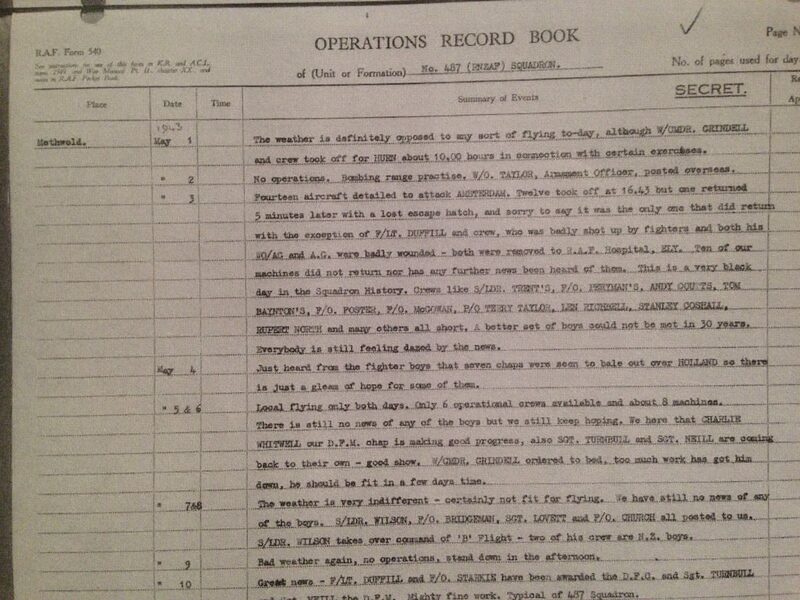 I was recently contacted by a reader who was trying to find out information about her grandfather, F.O. Maxwell Graydon Storey, 149 Squadron (East India) RAF, Bomber Command, RAF Methwold. He joined the Air Force in Australia in 1942/43 and was sent to England in December 1943. Here he was attached to the RAF and continued with his training as a bomber pilot. He transferred through a number of stations honing his skills and advancing his flying attributes. On completion, he joined 149 Squadron at RAF Methwold, where he flew Lancaster MK IBs up to and after the war. 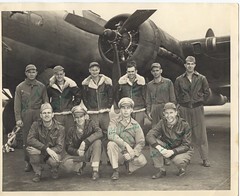 He flew a small number of bombing and food parcel missions before the war ended and his eventual return to Australia. Maxwell died earlier this year (2016) at the age of 92, he didn’t reveal very much about his time in England and so there are a number of gaps to be filled. Whilst I have manged to find out a fair bit, we are lacking photographs and finer details, if you, or anyone you know, could provide these, they would be a most welcome addition to the history of this Lancaster pilot and help his granddaughter find the missing pieces to his life. Training sites in the UK. 1.RAF Flying Training Command RAF Smith’s Lawn. 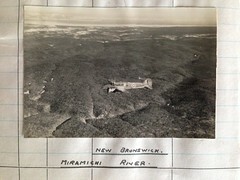 (RAF Smith’s Lawn was used primarily used as dispersal site and Relief Landing Ground for the de Havilland Tiger Moth trainers of the unit. He would have more likely been at RAF Fairoaks near Cobham). Wrexham Instrument Flying School – Does anyone have any record of this site? RAF Wing – flying Wellington X Bombers 26 OTU Again there is very limited information about this, can anyone shed any light on it? No 3 Aircrew Survival School, Whitby – I have no information on this. 1651 HCU- RAF Woolfox Lodge – Information about 1651 HCU? 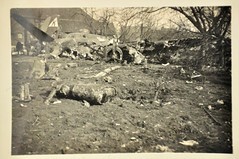 RAF Methwold – posted to 149 Sqn either February or more likely March 1945. 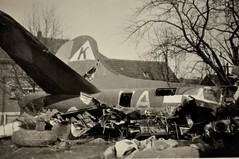 (149 Squadron arrived Methwold 15.5.44). April 14th 1945, P.O. Storey flew Lancaster HK795 ‘TK-B’ to Potsdam. F/S. L. A. Pounder (Nav. ), Sgt F.W. 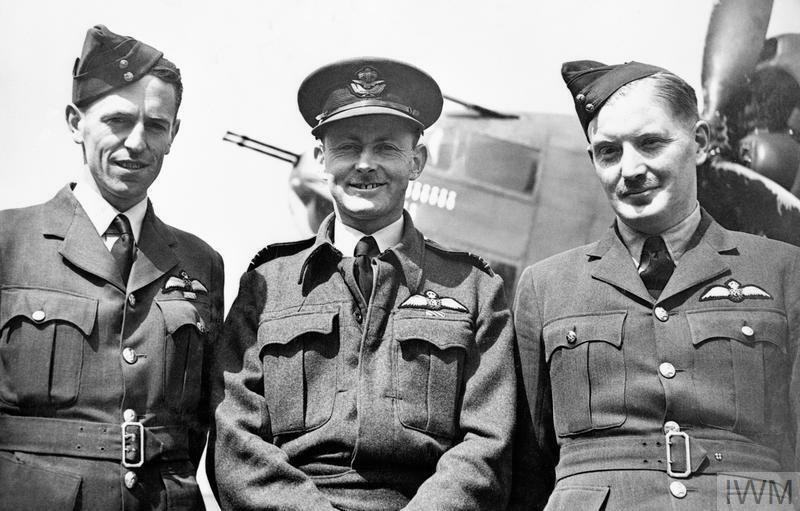 Harris (Bomb Aimer), Sgt W. T. Wiggins (F/Eng), Sgt J.R. Richards (W/op), Sgt. J. Bell (M/upper) and Sgt M. Stewart (R/G). F/S. L. A. Pounder (Nav. ), Sgt F.W. Harris (Bomb Aimer), Sgt W. T. Wiggins (F/Eng), Sgt J.R. Richards (W/op), F/S G. Moxham (M/Upper) and F/S A. Perkins (R/G). If you have any information about any of the places or people mentioned above, I would love to hear from you and would be only to willing to pass the information on. Mildenhall (15, 90, 149, 218 and 622 sqn Association) website. Trail 8 is the first part of a three-day trail around Swaffham. 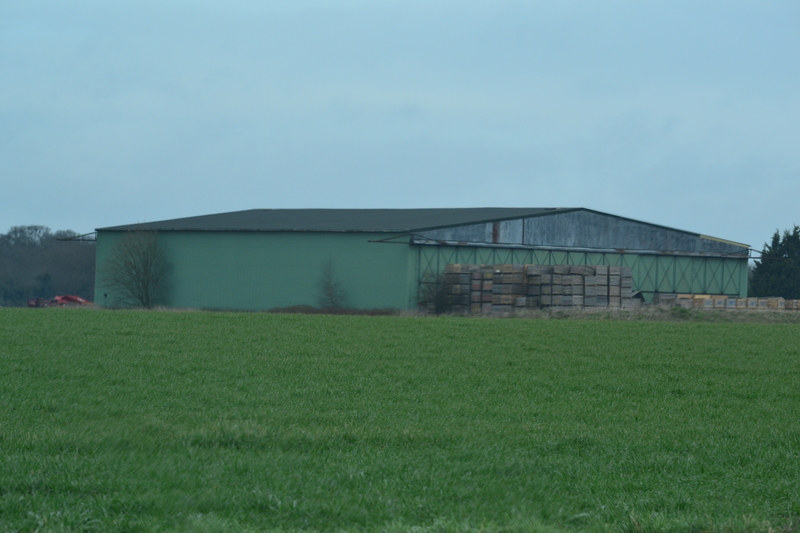 We take in RAF Methwold built close to Thetford Forest, home to New Zealand and Australian crews. 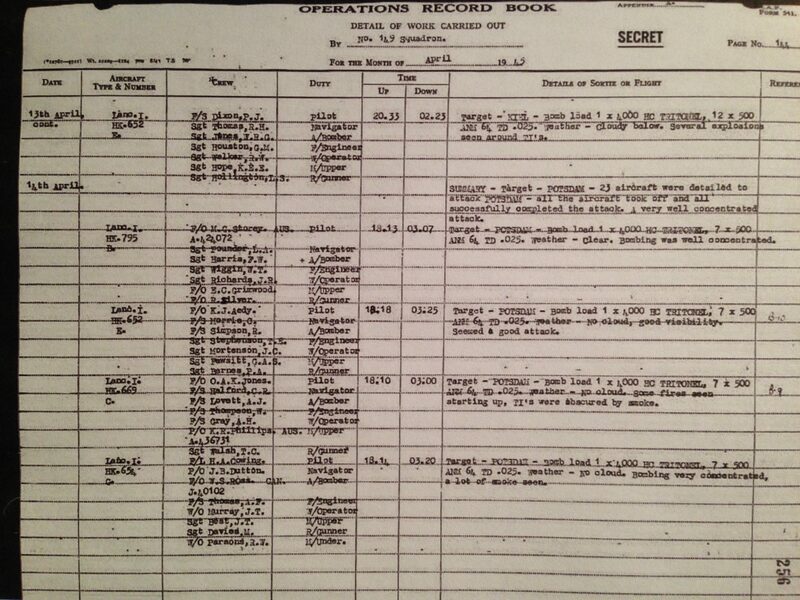 It was also used prior to D-Day for the storage of Horsa gliders. Located between Downham Market and Thetford, Methwold is a small, rural setting on the edge of Thetford Forest. Methwold has a rich aviation history, seeing Lancasters, Wellingtons, Venturas and Horsa gliders. Methwold has a strong link to both D-Day and “The Great Escape’. Whilst much of Methwold has gone, reminders of its significant history do remain for those wishing to travel and investigate further.